I know that for most parents it’s a really challenging decision to even think about using cannabis in your child. But after all you’ve been thru. Having a child with a refractory seizure disorder and knowing what you’ve seen and responding to conventional medicines or the lack of response. I know you’re watching this video because you’re looking for a solution and you need something that’s going to work for your child. I can’t promise that cannabis is going to do everything you hope, but with the right information I know that you’re going to be able to make a good decision about whether to move forward with the trial of cannabinoids in your child. Over the last two years I’ve met with around 60 families who have consulted me to find out if cannabis is the right medicine for their child who suffers from seizures. These families want to know the basics and the risks. The potential benefits. The basic information about cannabis as a medicine and how to use it. I want to give all this information to you right now so that you can be empowered to make the best decision for you and to consult the right provider that can help you on this journey. Let’s go over the major risks when using cannabis to treat pediatric seizures. I seen that even these cannabinoids are incredibly safe and they usually reduce seizures, each of them has the capacity to increase seizures or the intensity of seizures in certain patients every once in a while. This is easy to observe. So if you find that your child is doing worse with cannabis you’ll notice it right away. And change your plan. There are also drug interactions, so some of the anti-epileptic drugs that your child is already taking may interact with the cannabinoids. This usually occurs in the liver. The enzymes that are breaking down the cannabinoids are the same in some cases as the enzymes that break down the drugs so they compete for metabolism and you can sometimes get higher blood levels of the anti seizure drugs. This is something that your neurologist should and can easily monitor through the blood and make adjustments to the dosages of those other medications if needed. The third biggest risk of using cannabis in your child is one that a lot of people don’t think about. And this is losing access to cannabis, especially if your child starts cannabis and does really well with it. And if they’re able to decrease or even stop some of the other medications, losing access to cannabis can jeopardize the health and safety of your child. I’ve seen this happen when patients get admitted to the hospital. And the policy doesn’t allow cannabis to be administered. I’ve seen this happen when parents and families travel out of state or even when doctors who don’t understand the great potential of this medicine decide they want to report the family to child protective services. It’s important that once you start cannabis, you find a way to continue this therapy for the safety of your own child. Now, besides the risks I’ve described, the reset of the side effects of cannabis are really quite mild especially when compared to the rest of the anti-epileptic drugs. If you decide to go ahead with cannabis treatment in your child it is important for you to have the right health care team on board. This includes a good neurologist who is open minded to cannabinoid medicine. And likely a cannabinoid medicine specialist like myself to work together with the rest of your team. Don’t just try this on your own. Now let’s talk about the potential benefits of using cannabis in someone with seizures. First of all, many of the cannabinoids have been shown to have anti-convulsive properties and this is what everyone is looking for. Can it reduce the frequency the duration the intensity of the seizure. Can it shorten the recovery time after a seizure. We know how important this is for children who are trying to l earn ad trying to develop. The anti-convulsive benefits are clearly the top priority but there are many other benefits that cannabis usually offers to these patients. Cannabinoids are also known to have neuroprotective properties in animal studies using seizure or head injury or stroke as models, the cannabinoids have been found to decrease the injury and to promote healing and to speed recovery after any type of head trauma. This is incredibly useful for people with seizure disorders and it’s likely that even if cannabinoids can’t fully control seizure activity, they’re likely to prevent some of the damage and to promote the healing process. Cannabinoids are also muscle relaxants and this is a great treatment for many of the pediatric patients who also have hypertonic muscles that are just so tight from all that excitatory activity in their nervous systems. Many of my pediatric patients also have other issues in their bodies, especially in their digestive systems. Cannabis has great therapeutic properties for digestion. It can stimulate appetite and decrease pain. When these patients start using cannabis, even before they get to a dosage that controls their seizures parents are often reporting improvements in their cognition, their personalities coming out, they are better able to communicate or better able to learn new things. This is huge and a very early good sign. Cannabis seems to improve behavior in these patients which is often challenging considering all the neurological struggles they’ve had their whole life. When used correctly, the cannabinoids can also promote sleep which is huge, not just for your child but for the whole family. Now there aren’t many scientific studies that have looked at using cannabis in children to treat refractory seizure disorders. Preliminary data from a study that looked at over 200 patients with refractory seizures many of them children with the most difficult to treat seizure disorders. And this data showed that there was an approximate 56% reduction in seizures overall. Now this study was done to evaluate the safety of cannabis and hasn’t figured out the nuances of cannabis dosing using all the variety of cannabinoids. So this is some really promising, preliminary scientific information but we need a lot more data to show the benefits of cannabis and how to optimally use it in children like yours. Having said that, you should be aware that most anti-epileptic drugs that are used in children haven’t actually been tested in children b/c that wouldn’t be ethical. So we’re just using them because of what we now about their effects in adults and in animals. I’d like to explain the basics of how cannabinoids work in the brain to reduce seizures and protect the nervous system. We all have what’s called an endocannabinoid system. And, this is a physiologic system that’s present throughout all the tissues in our body but especially in the nervous system whose job it is to maintain balance and health at a cellular level. You and your child are always making endocannabinoids. These are molecules that function in the similar way to those medicines found in the plant. And any time that you have an injury especially a head injury or trauma or seizure, your cannabinoid system is active to help reduce the damage and promote the healing and repair from that event. So since you’re already using cannabinoids to reduce seizures and help heal after a seizure, it makes sense to target this system as a potential treatment to help reduce seizures even more. Now within the cannabis plant there are many different active constituents and there’s a few that we’ve looked at more closely to determine their benefits in patients with seizures. Tetrahydrocannabinol or THC is the most well known cannabinoid. This is the cannabinoid that can have an intoxicating effect in adults or psychoactive effect. But at low doses it can be used without any impairment. And it is known to have anti-convulsive properties. It’s also a great neuroprotectant. THC’s cousin cannabidiol or CBD has been getting a lot of attention because it also has anti-convulsive properties and it’s great for protecting the brain. One of the benefits of CBD is that it doesn’t cause any psychoactivity and it has a number of other health benefits like reducing inflammation. There’s another cannabinoid that a lot of people aren’t talking about called THCA. This is actually the raw, unheated state of THC and THCA has been surprising me by how well its been working at such incredibly low doses for patients with seizures. There’s a number of other cannabinoids that are promising and that are currently being explored for anti seizure treatment. But for now most patients are focusing on THC, CBD and THCA. Unlike most medications, these cannabinoids don’t have a single mechanism of action that allows them to reduce seizures. They’re actually doing many things in your body all at once. It’s kind of like a shotgun approach instead of the magic bullet and this requires a different way of thinking about the body. It’s also interesting that these compounds seem to work better when they’re combined with each other than they work all alone. This synergy or what’s described as the Entourage Effect, is a common feature of botanical medicines. But most of you haven’t ever thought of using a botanical to treat your child with such a severe condition. Botanical medicines have their pros and cons. They’re great b/c they tend to be safer. And I believe that nature offers us great medicine in their whole form. The cons of botanical medicine have to do with finding a stable, dependable preparation from one batch to the next b/c growing conditions and a number of other variables may be present before you get that bottle of liquid extract. You need to be able to know is that bottle the same as the last one that was working? What’s the potency? What components are in it? So there’s a lot of laboratory analysis and a lot of back in forth you might have to do with the producer of your cannabinoid medicine and with the practitioner whose guiding you in how to use it. Having a good relationship with the cannabinoid specialist is essential. One of the unique things I’ve observed in patients who are using cannabis to treat seizures is this incredibly broad range of safe, effective dosages from one patient to the next. Just to give you an example, dosing by body weight. We see some patients respond to dosages as low as .05 milligrams per kg while other patients need all the way up to 25 mg per kg of body weight. A 500 fold difference between the dose of one patient and the next. Yet within that huge range, there’s no toxicity. Cannabis is so safe that even if you accidentally gave your child 1000X the recommended dose there would be no brain damage, no organ damage and no systemic toxicity. Your child might feel strange for a day or two but they might not. That’s how safe this medicine is. Within that broad dosing range, there’s also what we call multi-phasic dose response curves. This means that often when you start a patient on a very low dose of cannabinoids and gradually increase the dose over time they start showing more and more benefit. This is what you’d expect. But then patients often get to a certain point where they start increasing their dose even more and the benefits are diminished with each subsequent dose increase. When this starts happening, its important to notice it and to reduce the dose to get back to that optimal dosage. Cannabis side effects usually emerge around the same dose when patients start building tolerance and having diminished benefit. So let me emphasize the need for a solid plan and a methodical trial where every 7 -10 days or whatever is appropriate for your case, your specifically increasing the cannabinoids by an amount that you’ve agreed on with our practitioner and then you’re observing your child for response carefully writing it down in a journal and bringing this information back to the healthcare providers. It’s only with methodical trials using preparations of cannabis that you know the potency of, that you can determine the optimal treatment for your child. Parents are often wondering where to start. THC, CBD, THCA or some combination of those various components of the cannabinoids. It’s important that you discuss this with your medical practitioner to determine what’s likely to be the best for your child but I’ll tell you what I’ve seen in my practice: CBD is a great option because the side effects are so tolerable , if any. And it’s often effective at very low dosage but going up to a very high dosage of CBD is also tolerated. I’ve seen CBD work in cases of refractory seizures that were some of the most severe that we know of. THC can also help the efficacy of CBD. And I’ve noticed in many cases that by combining a small amount of THC with CBD, patients are able to get better results at lower dosages which saves cost for the family. Lately I’ve been really impressed by THCA. First of all THCA is incredibly accessible. You don’t need a special strain, it’s easy to produce. THCA is present in every fresh, raw cannabis plant that would eventually be used to produce THC. It just has to be harvested and extracted without applying heat to keep it in its acidic or THCA form. We find that people with seizures usually respond to it at extraordinarily low dosages and they tend not to get a lot of benefit by increasing the THCA to very high dosages, so if you’re looking for a trial of medical cannabis for pediatric seizures that’s easily accessible and can be contained into a month or two, THCA may be a good place to start. Because CBD can be hard to find for many patients, a lot of them are turning to hemp-based CBD products that are extracted from industrial hemp And even though these products may have CBD in them and I have seen patients respond favorably to them I do have some concerns. First of all, most of these products don’t disclose what the other ingredients are and what solvents were used to do the extraction. Some of these organic solvents are nervous systems irritants and so we want to be careful. not to expose your child to even trace amounts of that. It’s important that you know your product is clean no matter where you’re getting it from Every batch should be tested at a lab that’s trusted and certified. All of the cannabinoids seem to have multiple mechanisms of action. THC can reduce excitotoxicity in the brain, reduce the release of glutamate and protect the nerve cells when they’re injured and help them stay stabilized. CBD has dozens of mechanisms of actions. It interacts with some receptors to stimulate them and others to inhibit them. It can up regulate the amount of endocannabinoids in the brain and can decrease inflammation and that’s just a few of what we know about CBDs mechanisms. THCA hasn’t been explored that thoroughly but we know that it has anti-inflammatory properties and we know that it penetrates the nervous system. We have a lot to learn about the cannabinoids I’ve mentioned and about all the other cannabinoids and we need your help and feedback so we can continue to do research and fine tune these treatments for children like yours. I’ve also seen some patients using THC as a rescue formula for generalized seizures that won’t stop. They’ll either take an alcohol based THC and rub into the gums of their child while they’re seizing or use it rectally like they would some other rescue medications like diazepam. This is an exciting new area of using cannabis for seizures but in general we’ve seen them most success with using a specific dosage of the various cannabinoids to help prevent seizures and speed the recovery. When I meet with the parents of pediatric seizure patients, they ask me what I would do if my children had this condition. Would I turn to cannabinoids? The answer is yes because I understand the safety profile compared with the other anti-epileptic drugs and the physiology of how cannabinoids work in the brain. This would be one of the first choices I would use I my child. Not even one of the last resorts. But now that you have the basic info on cannabinoids and you can start to imagine what it might be like to use this medicine you need to find a neurologist who is open minded who will work with you and as I mentioned, a cannabinoid medicine specialist who has seen these cases because we can’t rely on the scientific research to guide us in our clinical decisions. That’s too early. So what we need is clinical experience. And there are several people like myself around the country that are really digging into this field b/c we find great joy in helping patients like your children. 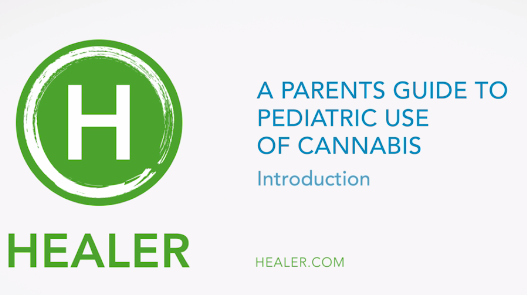 If you’re seriously considering a cannabis trial in your child, here are the nuts and bolts of how it works: first talk to your neurologist, see if they’re open minded to the use of cannabis and if they have any other patients that are doing so. If they’re not, you may want to find a different neurologist who can help you with this course of action. Once you have your neurologist on board and a cannabinoid medicine expert, I recommend talking to other parents of children who are also using this type of treatment. And you can find hundreds of them in the online communities. Some of which may be in your area. After working with your two medical providers and deciding on a plan for starting a methodical cannabis trial, you’ll need to find the right medicine. So ask the other parents where they’re getting their medicine. Which labs are testing the medicine and see what you can do to find a preparation that is compatible with the recommendations of your providers. That medicine will likely be in the form of a liquid extract, usually in an oil base. The oil can be administered by drawing up a certain volume in an oral syringe like you would use to give a child any type of liquid medicine. You might give .1 ml or ½ a mil or even a whole mil depending on the potency of the medicine. When you have it test –and remember you have to have each batch tested even if the label reads the same way– b/c you need to be sure that whoever is producing that medicine didn’t make a mistake. When you do have it tested, looked for the potency of the various cannabinoids. So how many mgs of THC per ml of oil, how many mg of CBD, THCA, etc. And you’ll also want t have it tested for any contaminants like organic solvents that may still be in there from the extraction process. After you’ve acquired the right medicine, remember that as you go through a trial of cannabinoids you need to closely monitor your child and to record in a seizure diary not only how frequent the seizures are but how intense they are, if they appear differently in any way, what the duration of the seizures are and how much time it takes your child to recover. Also make notes of any positive signs that you see outside of seizure activity, like cognitive development or the expression of their personality. Bring all of these findings back to your neurologist and cannabinoid medicine specialist. Many families need several iterations of a cannabis trial to figure out what’s the best ratio and best dosage for your child. So it might take several months before you really have it figured out although most patients are starting to find some very early promising results. So be encouraged. There’s a lot that cannabinoid medicine has to offer patients with pediatric epilepsy and I hope this video helps you navigate this world effectively.